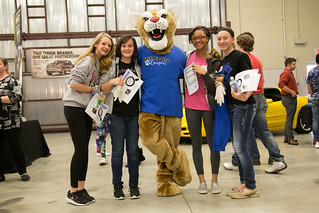 Thank you to all who attended the 2019 Barton Career Fair. We had over 500 participants and will begin planning for the 2020 event soon. Afternoon session does include snacks – two individually packaged snacks and a bottle of water. Session 1: 12:20 – 12:35 p.m. Session 2: 12:40 – 12:55 p.m. Session 3: 1 – 1:15 p.m. Session 4: 1 – 1:35 p.m. Session 5: 1 – 1:55 p.m. Sessions will take place in the Case New Holland Lab and in the various labs and classrooms (as labeled) in the Technical and Science Buildings. Essential Skills sessions will take place concurrently during Sessions 2 – 5 in T-103 in the Technical Building.